Lot:42493 COLOMBIA. Siege of Cartagena. (1815) 2 Reales. Restrepo 118.1. Copper. EF-40 (PCGS). COLOMBIA. Siege of Cartagena. (1815) 2 Reales. Restrepo 118.1. Copper. 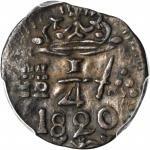 EF-40 (PCGS).Struck over a Cartagena provisional 2 Reales, Restrepo 136. 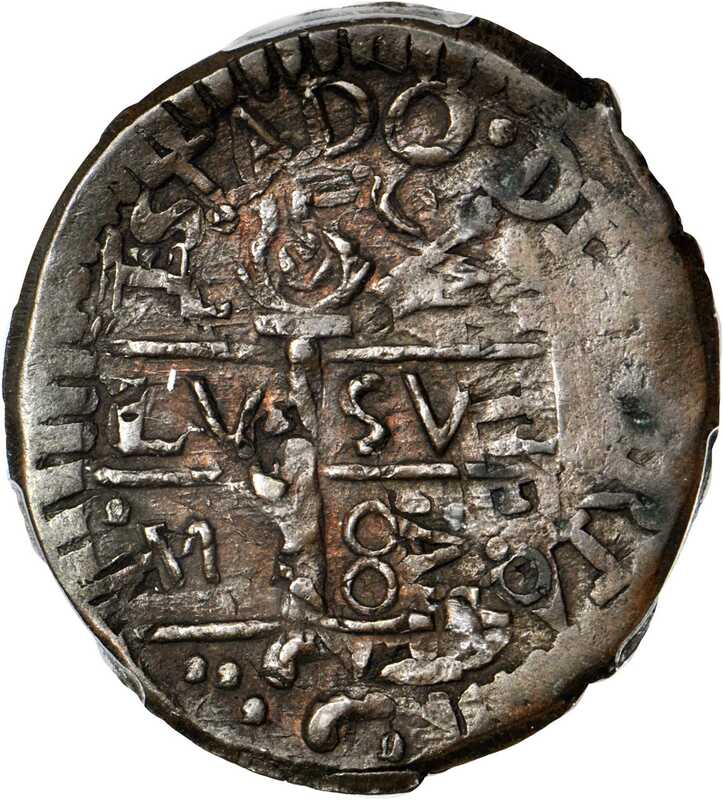 A rare and historic imitation cob 2 Reales coined by the Royalists during the Siege of Cartagena. Well struck on a broad planchet that allows almost all of ESTADO on the undertype to be seen atop the obverse. Rich chocolate brown color with excellent eye appeal and superb detail. A far finer than typical specimen.